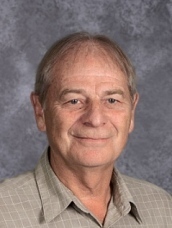 Our other Teacher Feature this week is Mr. Elvin Winans. Elvin has been with the district for 12 years. Here's a little bit about him. 5. Favorite Food: Coconut Cream Pie!! 7. Question you get asked frequently: "Can we nap today?" 8. Unique Fact: I love rattlesnake and agate hunting in South Dakota.